Footwear not only helps in protecting your feet, but elegant footwear becomes your style statement and add spark to the attractions to certain occasions. Using the right type of footwear for the right occasion is important. Apart from right size, it is also necessary that it is comfortable and in proper shape. You can find a wide range of men, women, boys and girls footwear on DealsCorner from a variety of brands and online stores. You can search the shoes of your choice, compare the prices offered by the online stores and choose your favourite pair of shoes in the lowest price range available in India. Whether you are heading for a workout or a party, wearing the right set of footwear as per the occasion is important. Most of the people have two to three types of footwear for their different purposes like athletic footwear for running, jogging or workout, formal shoes for office or meetings, glamorous and shining footwear for parties and loafers for casual or regular wear. While shopping for footwear, most of the people are confused which footwear to purchase. With pre-informed details about the types and models of shoes available for boys, girls, men and women, selecting the right pair footwear become a simple task. Some of the popular types of footwear are athletic shoes, boots, clogs, mules, flats, heels, pumps, loafers, oxfords, platform shoes, sandals, etc. 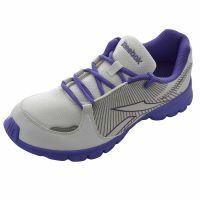 The athletic shoes are designed for power pack activities like jumping, stretching, running, and walking. The athletic shoes are also known as sports shoes or sneakers. It is made up of durable materials with cushions and dense rubber soles. The cushioning the sports shoes, helps in absorbing the jerk and protecting the wearer’s heel pad, while the rubber soles help in providing proper traction from running or exercising. You can also find different types of boots like cowboy boots, work boots, hiking boots, motorcycle boots, snow boots, etc. There is a wide range of boots for men and women. Some of the boot styles for women are knee high with round or pointed –toe shape. Pump heels and peep toes are famous among women for parties and similar occasions. There are different types of pump heels with open or closed upper part of the shoe, while the peep toes are low cut shoes which are available with or without straps. The height of the heel in the peep toes can be three or more inches. Both men and women largely prefer the loafers and oxford type of shoes because it can be used in any type of occasions, both casual and formal. The loafers and oxford are made up of soft leather with a rubber sole which are very comfortable. Most women use loafers with pants or long skirts for modish look. There are several other options like the stilettos, wedges, casual shoes, sandals, many more. Take a tour of the footwear gallery on DealsCorner, and choose the footwear of your choice in the reasonable price range. At Dealscorner, you have the flexibility to the search you need and compare it with the prices offered by the various online stores like Flipkart, Snapdeal, Jabong, Shopclues, Infibeam, Amazon and many more. Search the product, use the filter options to narrow your results, compare the prices and then choose the product. Enjoy your shopping on India’s leading comparison website, and keep posting your reviews.